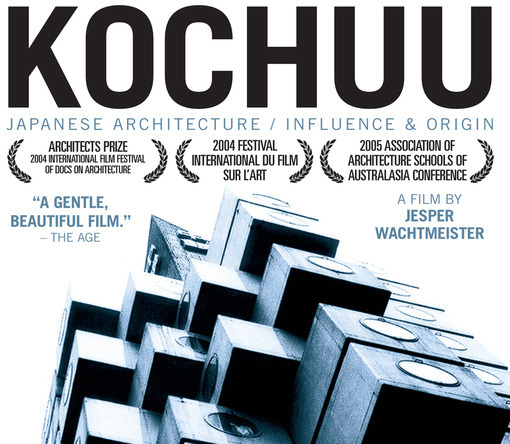 KOCHUU is a 53 minute long, visually stunning film about modern Japanese architecture, its roots in the Japanese tradition, and its impact on the Nordic building tradition. Winding its way through visions of the future and traditional concepts, nature and concrete, gardens and high-tech spaces, the film explains how contemporary Japanese architects strive to unite the ways of modern man with the old philosophies in astounding constructions. KOCHUU, which translates as "in the jar," refers to the Japanese tradition of constructing small, enclosed physical spaces, which create the impression of a separate universe. The film illustrates key components of traditional Japanese architecture, such as reducing the distinction between outdoors and indoors, disrupting the symmetrical, building with wooden posts and beams rather than with walls, modular construction techniques, and its symbiotic relationship with water, light and nature. The film illustrates these concepts through remarkable views of the Imperial Katsura Palace, the Todai-Ji Temple, the Naoshima Contemporary Art Museum, the Sony Tower, numerous teahouses and gardens (see link below for complete list), as well as examples of the cross-fertilization evidenced in buildings throughout Scandinavia, and shows how 'invisible' Japanese traditions are evident even in modern, high-tech buildings. This event is open to the BAC community (current students, staff, and instructors) and is sponsored by NOMAS.